“The guardian of Israel neither slumbers nor sleeps," Chabad of Maui tells locals. "Stay safe friends." 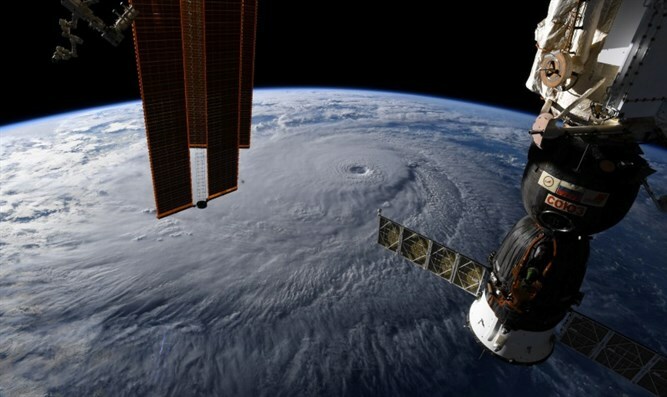 Hurricane Lane as seen from space station. Hurricane Lane is slowly making its way north-northwest off Hawaii while lashing Hawaii’s Big Island as locals and tourists prepared for the Category Three storm to strike. The biggest threat early Friday was issued for Maui and Oahu, which are expected to be hit by heavy rains and wind. Lane was not projected to make a direct hit on the islands, but officials warned that even a weaker blow could do significant harm. Some areas could see over 45 cm of rain. The National Weather Service announced late Thursday that a Tropical Storm Warning has replaced a Hurricane Warning for the Big Island, but called flooding a major concern. Emergency crews in Hilo already rescued five people from a flooded house after a gulch overflowed. Chabad of Maui used Facebook to reassure its friends things would be fine with G-d's grace. “The guardian of Israel neither slumbers nor sleeps," it cited Psalms 121:4. The Chabad House urged its friends to "Stay safe" and gave its number for those in need of help.